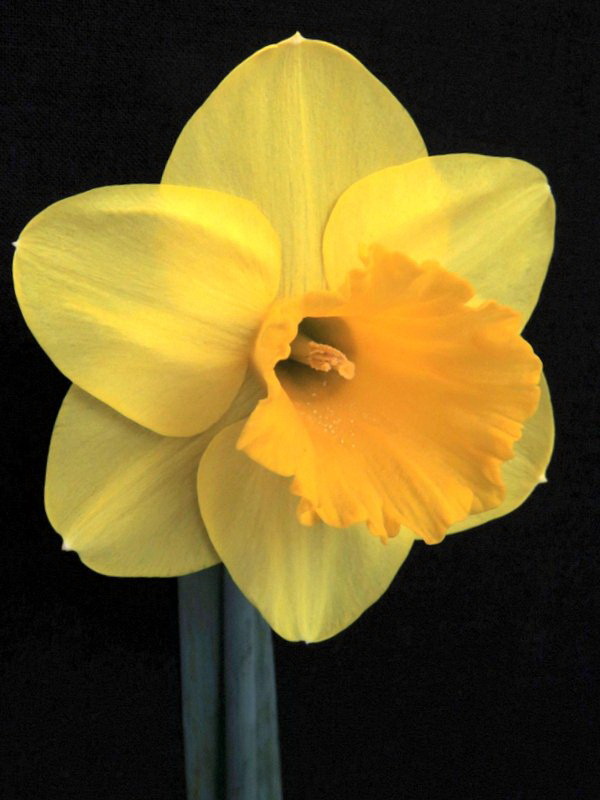 The snow drifts were still in the fields but the number of daffodil exhibitors for the Rosemoor daffodil competition on the 10/11 April were the highest since the competition began in 2014. 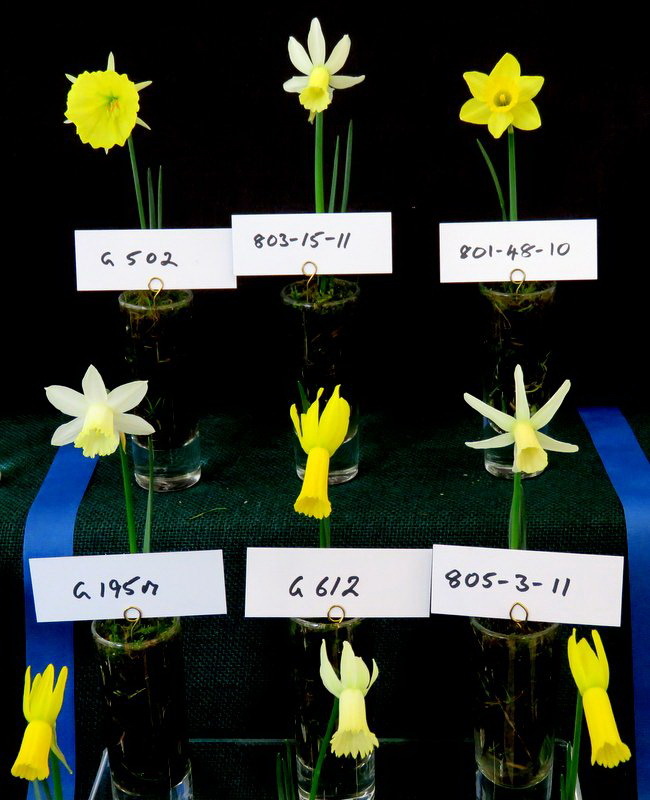 The Crystal trophy for six cultivars one bloom of each was awarded to Allen Brierley who put up a nicely balanced entry of good sized flowers. 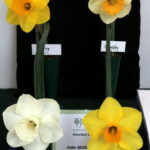 Ombersley, Banker, I love you, seedlings D3587 and D3279 and Early Choice which also scooped Best Bloom in show. 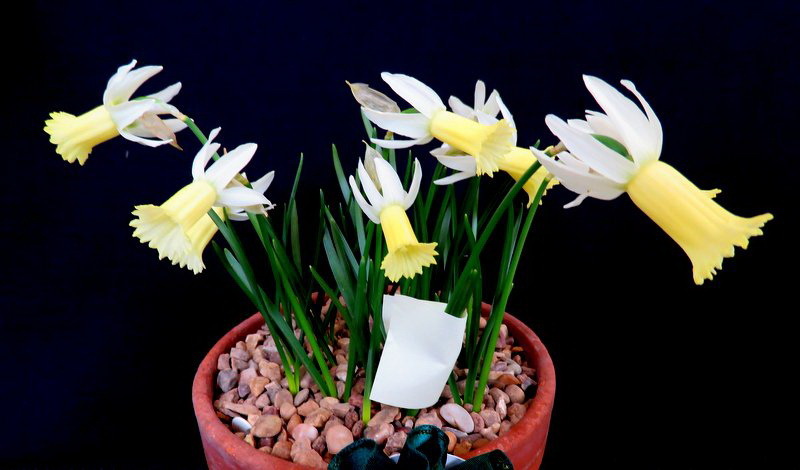 Last years winner Ivor Clarke had success in the class for 5 blooms Division 1-4 & 11 with 3 x Pink Silk, Park Springs and Warnwell. 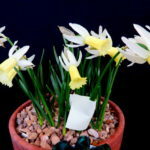 Marie Bersey won the 5 blooms division 5-10 vase⁬ with a charming collection of Division 6, Lemon Silk, Rapture, Winter Waltz, Warbler and February Gold. 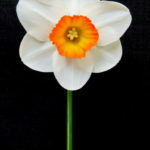 However the stars of the show were the miniature classes with an astonishing 100+ miniatures exhibited in classes 15-29. I don’t think you will see a finer collection anywhere. 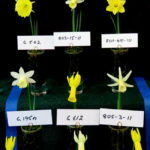 There were 6 entries in the Crystal Trophy class requiring Nine Miniature Cultivars, Species or Wild Hybrids and the judges had to patiently and systematically work through the rows of flowers in order to do the entries justice. John Gibson was the worthy winner with a beautifully presented set of flowers. 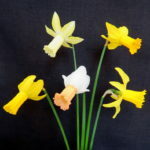 Although predominantly cyclamineus the quality and arrangement of the flowers overcame a lack of diversity. Brian Duncan and Dave Hardy came a very close second and third. The best miniature was awarded to Sleek 6W-Y exhibited by Ann Wright. 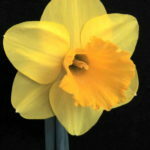 Quality Daffodils had their usual quality trade stand despite the flowers being flattened by snow the previous week. 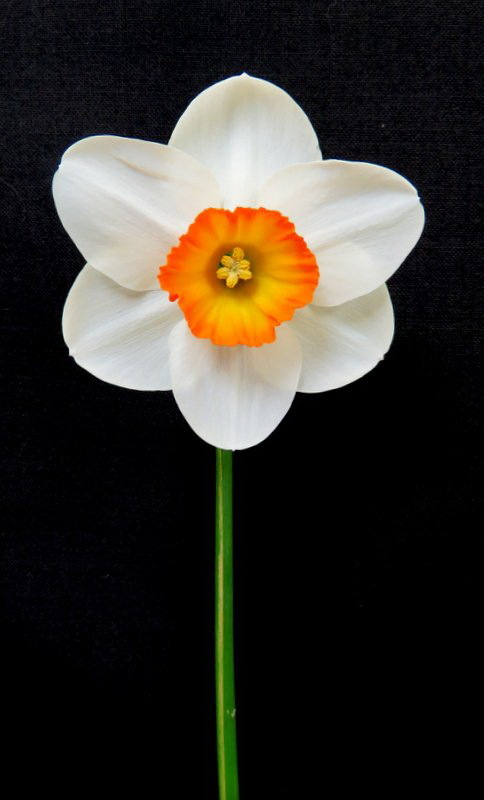 The daffodil and the daffodil fraternity are a resilient bunch.